Pal Promo: Grab the chance to fly Business Class for MANILA - SINGAPORE or MANILA to BANGKOK for only Php13,200 one-way! That's at almost the price of Economy! 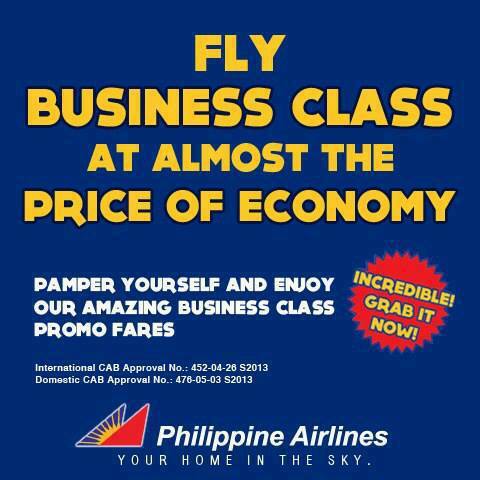 Pamper yourself and enjoy our Amazing Business Class Promo Fares. Check out our other destinations where you can fly Business Class with PAL at a very good price! Pal Promo 2014: Independence Day Seat Sale!